Congratulations to Gann Academy Senior Hannah Dale, who will be matriculating at Barnard College next year. Hannah has been active in the Oyster Project since the early days. She wrote our first successful grant application to the New England Grass Roots Environmental Fund and has volunteered at various events measuring oysters and collecting petition signatures. According to Wikipedia, Barnard College is an affiliate of Columbia University, one of the original seven sisters, and has a terrific reputation. The College has an illustrious list of Alumnae including Jeane Kirkpatrick- the first female US representative to the United Nations, anthropologist Margaret Mead and lifestyle maven Martha Stewart. But the list goes on… Comedienne Joan Rivers, Choreographer Twyla Tharp, NPR’s Susan Stanberg, actress Zuzanna Szadkowsky who plays Dorota on Gossip Girl. Barnard must be doing something right as these are just a few of the prominent names who caught my attention. In popular culture, the television show Mad Men includes the character Rachel Menken who is a Barnard College Graduate. An interesting aside is that in 1960 the school attracted national attention when Barnard Students began wearing Bermuda shorts to classes at Columbia. How times change! 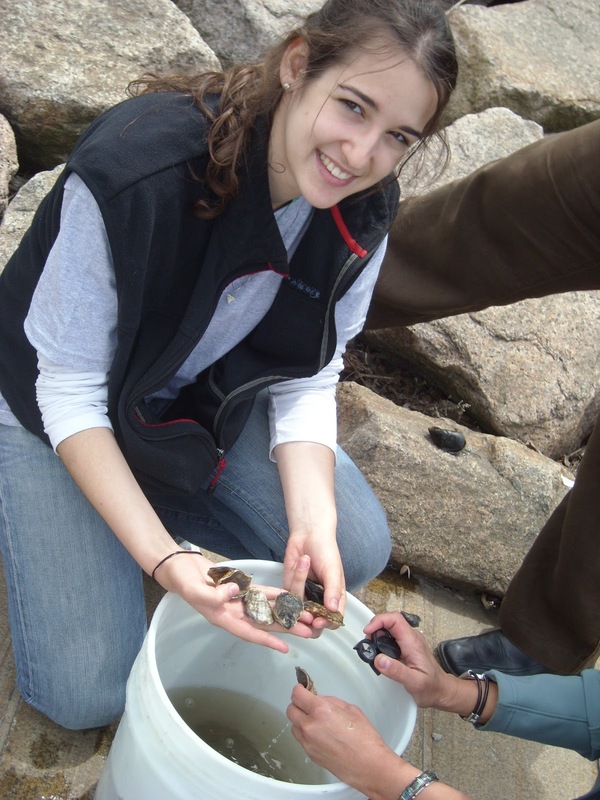 Hannah also is a volunteer at the New England Aquarium.